Ok, this section is gonna take off ...... !!!! 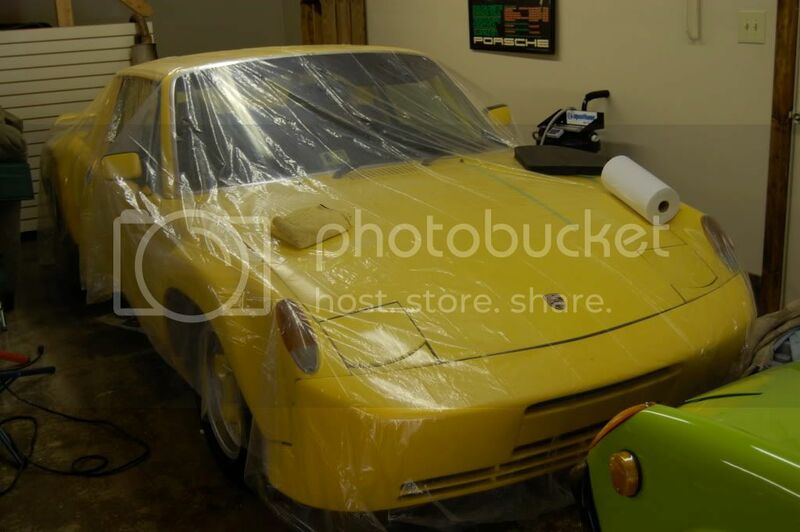 Post every cool 914 GT pic you can find that doesn't have a website watermark. From 916's to GT clones as long as they have those glorious GT flares !!!!! Last edited by GT3 Chuck; 06-07-2009 at 12:10 AM. It is also not a 914/6 or a complete conversion to one. It was a track car built by a high end body shop owner for himself. Just about everything under the car (except the highly massaged original 914/4 engine) has been replaced with 911 parts or racing parts. The engine is being rebuilt right now also. Why are my pictures coming up as 'thumbnails' ???? Last edited by gothspeed; 06-07-2009 at 10:57 AM. ha, I like the conversion 944 turbo front end. It gives it a unique look. This picture was taken to just show people what my next project was going to be. It is not nearly finished or anything. Body: The car is strenghtened to 914-6GT spesifiaction, fibre glass/carbon bonnet, rear lid, bumpers and rocker panels. GT engine lid and original engine mount. Cooling: Large front cooler with thermostat, engine oil coler and original oil tank. Gearbox: Modificated to side shift (from 73) and installed limited slip differential. Baaaad asssssss!!!! That orange GT is beautiful!!!!! I believe the cover of the electrodyne catalog in 1988 had a signal orange 914/6-gt on it. Congrats on making a very sweet car. Apparently the Moderators think that my Posting pictures that where directly related to this thread were Spamming and deleted them. And they want to Ban me permanently. It's too bad they did not check me out. Those that know me from 914World, 914Club, RoadGlue and Pelican, realize that is not what I am about. I don't know where this is leading as I was hoping to become an advertiser & vendor here.